*Stock #419416. 36 mos / 10k miles/year lease. First payment due at signing. With approved credit. Tax, title, and license not included. $0 security deposit. Expires 4/30/2019. *Stock #420614. 36 mos / 10k miles/year lease. First payment due at signing. With approved credit. Tax, title, and license not included. $0 security deposit. Expires 4/30/2019. To help you enjoy everything your BMW has to offer, a team of BMW Geniuses is available to provide you with helpful product information and to answer your questions wherever you are — in BMW centers, via your smart phone or tablet, or by calling the BMW Genius Hotline. smallest coupe an oversized attitude. and thrilling power make it a legend in its own right. in a new era of dynamic power. it blurs the line between sophistication and exhilaration. are certain to leave everyone breathless. making it the future of luxury travel. Filled with power normally reserved for the track, X generates pulse-racing performance unlike anything else. And after 40 years, X models aren’t done pushing their power to the limits. But don’t worry; they’re still street legal. Barely. We Are Your Omaha, NE New and Certified Pre-owned BMW Dealership near Papillion, Sioux City, Bellevue, St Joseph, Hastings, Grand Island, Council Bluffs, Columbus, Fremont, Norfolk, Fort Dodge, Nebraska City, Raston. Are you wondering, where is BMW of Omaha or what is the closest BMW dealer near me? 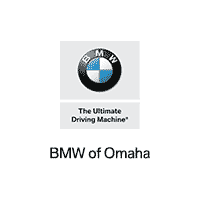 BMW of Omaha is located at 716 N. 102nd St, Omaha, NE 68114. You can call our Sales Department at (402) 454-7336, Service Department at ​(402) 454-7335, or our Parts Department at ​(402) 454-7333. Although BMW of Omaha in Omaha, NE is not open 24 hours a day, seven days a week – our website is always open. On our website, you can research and view photos of the new BMW models such as the 2 Series, 3 Series, 4 Series, 5 Series, 6 Series, 7 Series, i3, i8, M2, M3, M4, M6, X1, X3, X4, X5, X5 M, X6 or X6 M that you would like to purchase or lease. You can also search our entire inventory of new and pre-owned vehicles, value your trade-in, and visit our Meet the Staff page to familiarize yourself with our staff who are committed to making your visit to BMW of Omaha a great experience every time. Looking for a new 2017 or 2018 BMW? Look no further than BMW of Omaha in Omaha, NE. We offer a full lineup of new BMW vehicles. Our knowledgeable BMW of Omaha new car dealer staff is dedicated and will work with you to put you behind the wheel of the BMW vehicle you want, at an affordable price. Feel free to browse our online inventory, request more information about our vehicles, or set up a test drive with a sales associate. As a leading BMW dealer near Papillion, BMW of Omaha also has a wide variety of pre-owned cars, trucks, and SUVs for you to choose from. Each of our used vehicles has undergone a rigorous inspection to ensure the highest quality used cars, trucks, and SUVs in Nebraska. Stop by BMW of Omaha or search our online inventory to find the used car, truck, or SUV that is right for you. We have used cars, trucks, and SUVs for every need and budget. Our expert staff will work to get you in the vehicle you want for an affordable price. Visit our BMW of Omaha finance page to get pre-approved today! The staff within our Finance Department is dedicated to putting you in the car you want, at a price you can afford. We also offer competitive auto leasing options for our customers who are not looking to purchase or finance a vehicle. Whether you are looking to finance or lease your new BMW car, truck, or SUV, our finance experts will work to arrange affordable payments for our customers. Our state-of-the-art Service Department here at BMW of Omaha will keep your new BMW vehicle or used car in excellent condition. The diagnostic equipment operated by our expert mechanics will detect any issues that may be occurring in your vehicle so that our BMW trained service technicians can fix the problem right the first time. We offer all the auto services, maintenance, and parts you need to keep your vehicle running like new, even if all you need is an oil change. Visit our Service Department page to schedule a service appointment, or our Parts Department page to order parts for your new BMW, or for more information about any of the services offered by BMW of Omaha.